Are you looking for a cost-effective way to increase your customer base? or Do you want to stand out on the social media for your product or service? Or you might want to reach out to customers from across the globe? Well, then you have landed on the right page. Here we will just be giving you the ‘Know-How’ to ‘Stand on the Social Media’. 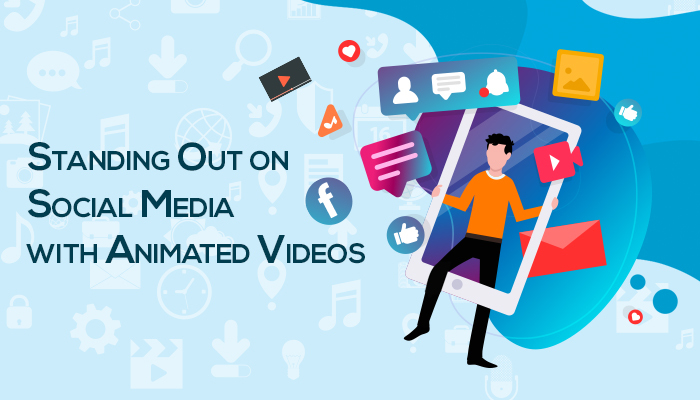 The most effective and cheaper way to reach out to the masses is through Animated Videos. Humans are more likely to retain information presented through audio-visuals than texts. In a study, it was noted that a human brain processes visual information 60000x faster than the text. Animated Videos combine auditory, visual and emotive factors which strongly captures the viewer’s attention more than the text. Animated Videos are more entertaining and less time consuming to watch as compared to the monotonous reading of the text. Yet another advantage of communicating via Animated Videos is that these are considerably cheaper to make i.e. these involve less production costs. So, isn’t it a good idea to invest in a video that is pocket-friendly and compelling at the same time? As a Social Media Strategy, Animated Videos come with a plethora of benefits. Such videos are short and are most likely to be viewed and shared by millions of customers in just a short span of time. The Autoplay of the Newsfeed video lets animated videos play automatically. The silent flux of visuals captivates the attention of the people and can make them all the more inquisitive about the product or service. So, let’s embark on a journey to make an Animated Video tailor-made to your needs!! Infographic courtesy by Prismart Global.